After TechRadar exclusively revealed that LG would be bringing its passive 3D TVs to consumer homes and not just to pubs, the company has revealed official details of the LG LD950. While pubs will be given the LD920 product, the LD950 will be the model making it homeward bound. 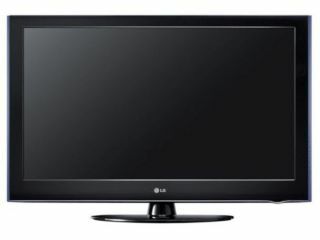 The only difference between the televisions seems to be that the LD950 uses HDMI 1.4, instead of HDMI 1.3. This means that you get extra 3D functionality on your TV, including automatic switching between 2D and 3D. Prices are to be confirmed but expect the panel to be more expensive than its active shutter counterparts – in LG's case this will be the LX9900 and LX6900. This is because adding a polarized screen to the TV adds extra pounds. This is counteracted by the fact that the glasses are so cheap. You will get four polarized glasses in the box, but you should be able to pick them up for around £1 each. Buying a passive 3D TV does mean that you won't see 3D in Full HD. The technology means that resolution is effectively halved and piped to each eye. However, LG did explain to TechRadar that this does fool the brain into thinking it is seeing a clear, high-resolution 3D image. The technology is also compatible with Sky's 3D channel and 3D Blu-ray discs. With the Blu-rays, the televisions have processing power within them to change the 3D signal to suit the passive technology. The LD950 comes in 47-inch size only and has a UK release date of May.